New REV. 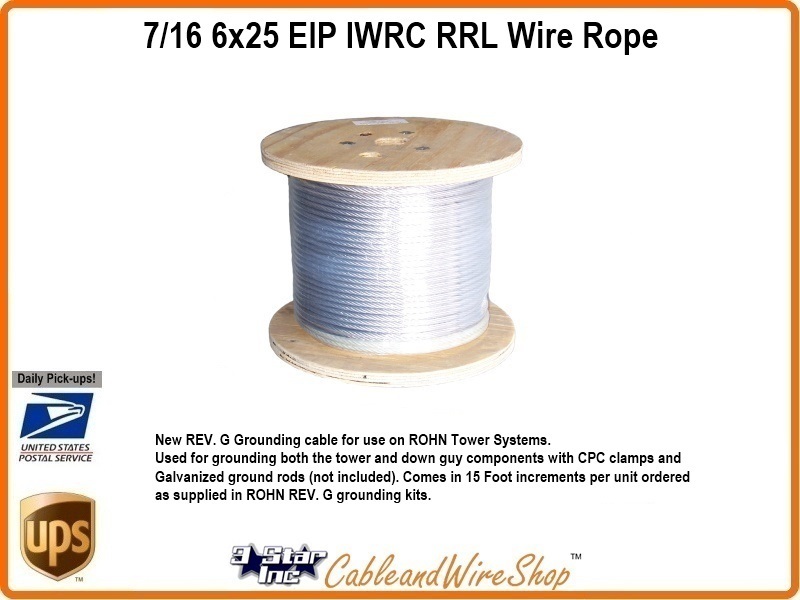 G Grounding cable for use on ROHN Tower Systems. Used for grounding both the tower and Down Guy components with CPC clamps and Galvanized ground rods (not included). Comes in 15 Foot increments per unit ordered as supplied in ROHN REV. G grounding kits.